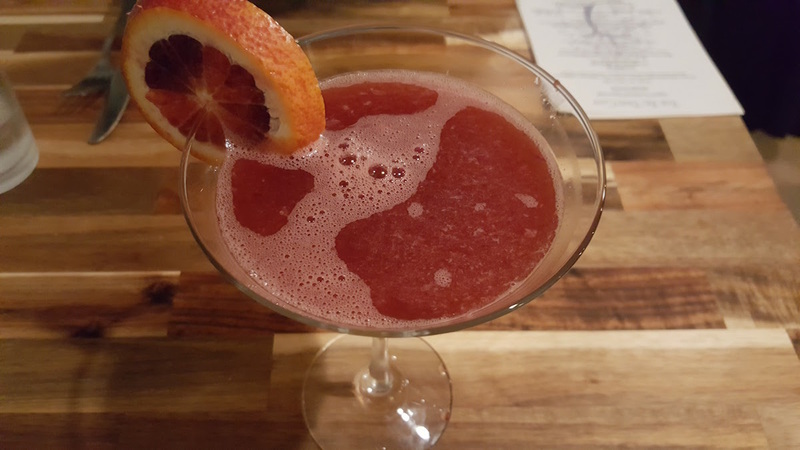 The Fig Tree Cafe in Cahaba Heights has Mastered Culinary Creativity! The Birmingham area is home to a few small culinary gems that are tucked away in unassuming places. The Fig Tree Cafe definitely falls into this category! From the outside nothing jumps out and screams fantastic culinary creations, but that’s exactly what you will find once you step inside. We were invited to tryout Fig Tree Cafe and we jumped at the chance. We weren’t sure what to expect since it was our first time trying Fig Tree out. 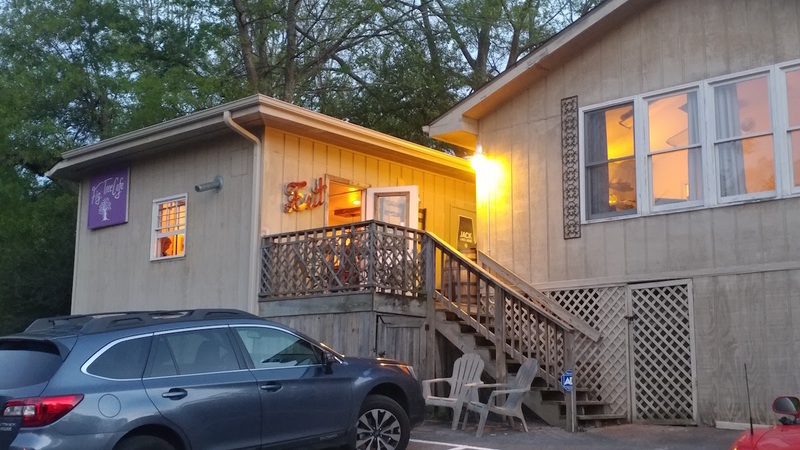 We pulled up to the back of a house and were a little skeptical of how a great restaurant could be hiding in such an odd location. 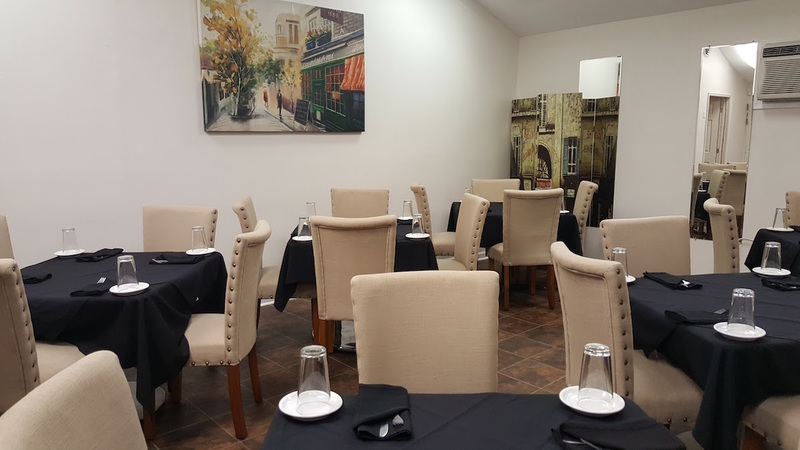 From the moment you walk inside, Fig Tree Cafe offers a quaint elegance and an outstanding dining experience! 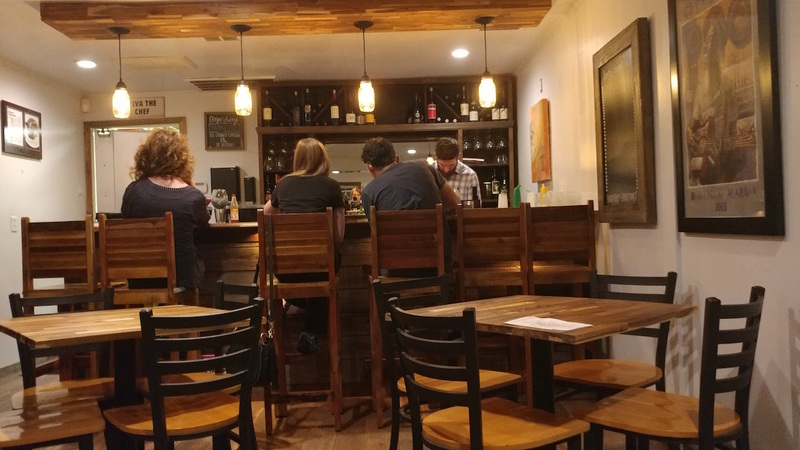 What started out as a small cafe filled with randomly donated art and makeshift furniture has since been transformed into a beautiful dining room and bar that features custom woodwork from the tables to the bar itself! These were all done by Brandon Wright, who now mixes drinks behind the very bar he constructed! Throughout the night we spoke to owner and chef Jon Holland ("J.P.") as well as Justin Church who heads catering, and the in-house mixologist Brandon Wright. We got some great stories from each of them, but let’s get to the main course of this piece, the incredible food! For our appetizers we decided on Crawfish Egg Rolls and Ponzu Tuna! The Crawfish Egg Rolls were fantastic! 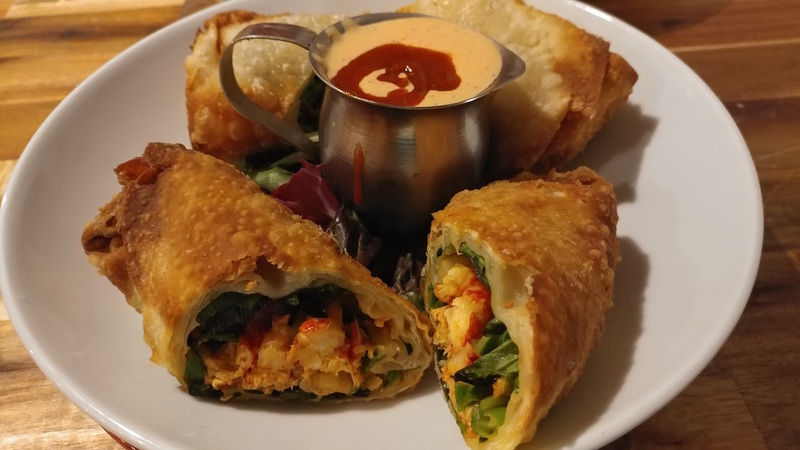 We love crawfish and we love egg rolls, and when combined they make for a flavor packed appetizer! You get four halves and they come with a house remoulade sauce that would probably taste good on anything! The rolls were crunchy and stuffed with fresh crawfish, greens, and diced tomatoes! So good!!! Not knowing what to expect from the Ponzu Tuna, we were pleasantly surprised by this dish. 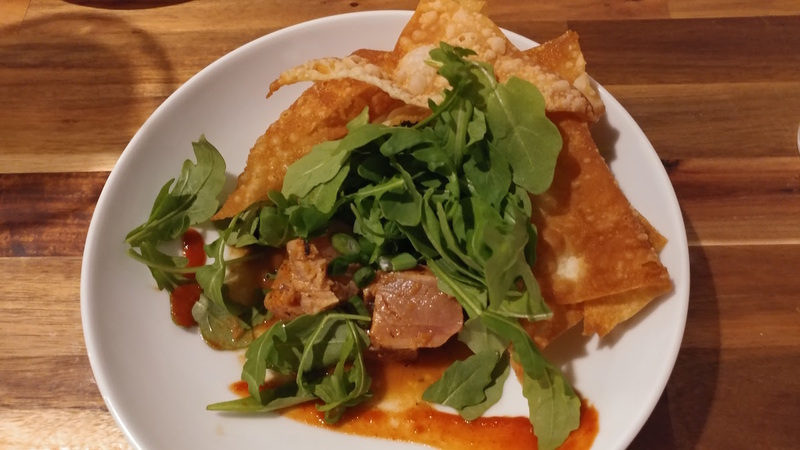 The tuna is cut into bite-sized pieces and served under a bed of greens with crunchy wonton chips! True to its name, the dish is drizzled with Ponzu sauce that has the perfect amount of citrus flavor. This light tuna dish is perfect for the hot Alabama Spring and Summer seasons! All that being said, Brandon INSISTED that we order one of his other creations. (Darn our luck!) 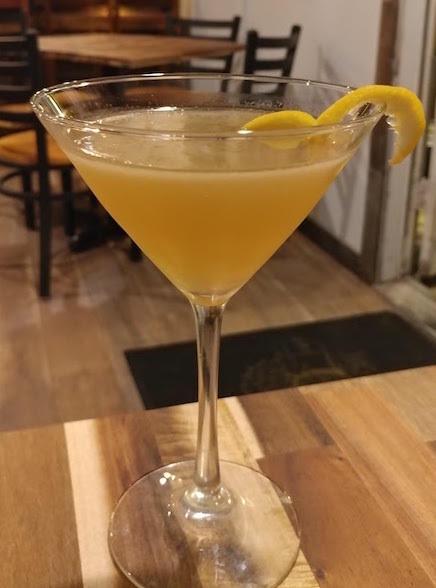 Amber ordered a “Lady of the Lake.” This exquisite concoction is made with honey infused Heather Flower Vodka, pure Alabama wildflower honey, fresh squeezed lemon juice, lavender bitters, and is garnished with a lemon twist!!! It’s like Summer in a glass! It definitely outshined the first drink! Fig Tree offers three salad choices and we opted for the House Salad. 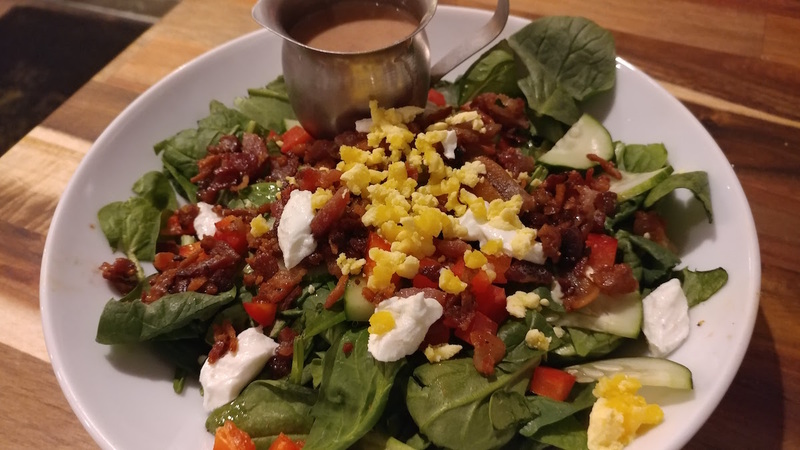 It is a light and fresh spinach salad served with cucumber, tomatoes, goat cheese, and fresh, crunchy, bacon! The dressing was light and added the perfect amount of flavor to the dish. The main course was almost a no brainer for us. We ordered the Dry Aged Steak, a daily special, and the Fig Pig Pork. Having just seen a show about dry aged steaks we were excited to try this one out! 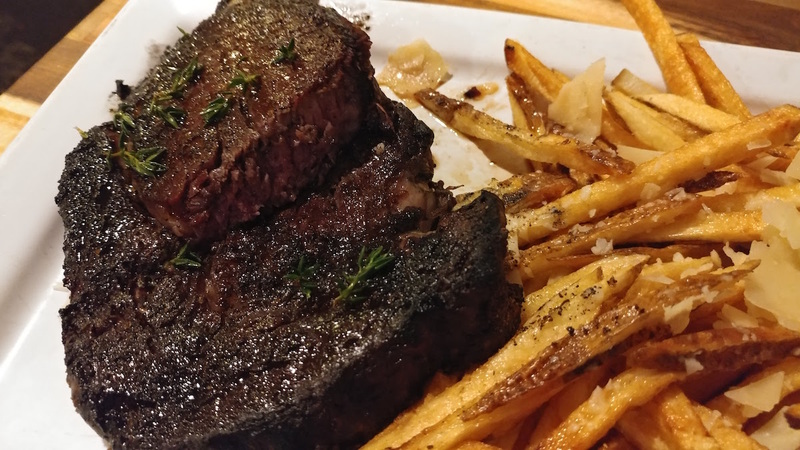 We ordered it Medium-Rare and it came cooked to perfection! 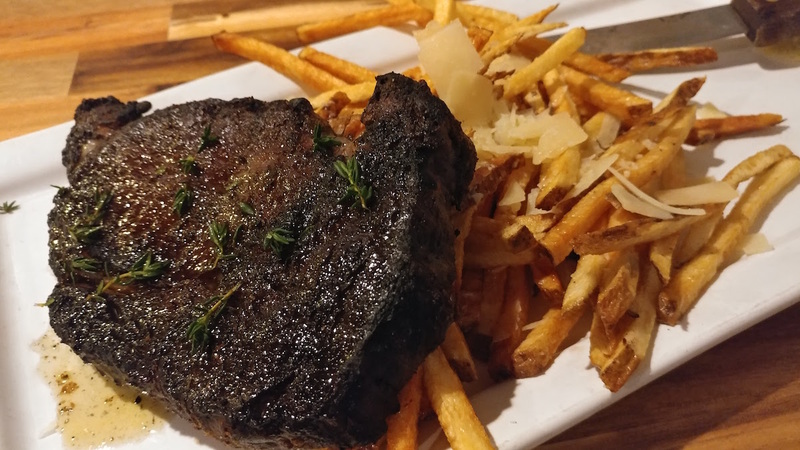 The steak was served with a side of garlic truffle fries topped with flakes of parmesan cheese. Don’t even bother with ketchup, trust us! Our second dish, The Fig Pig Pork, (say that 5x fast!) was just as good! 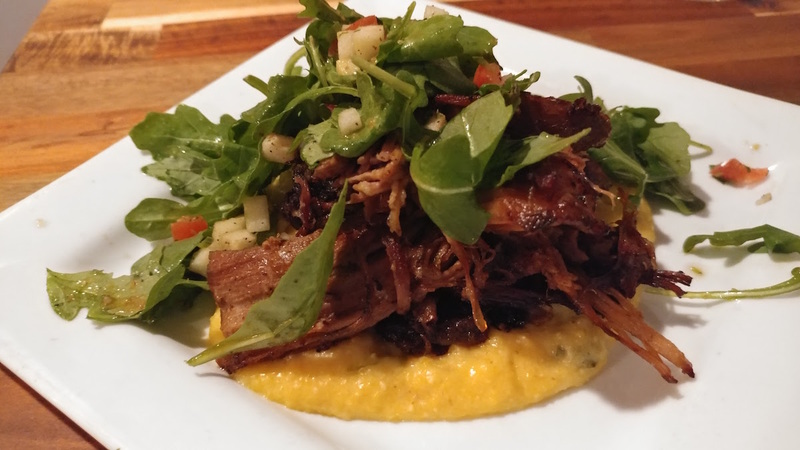 While it doesn’t contain actual fig, it does have slow cooked pork covered in greens atop a bed of cheese grits! This spring dish is sure to become a seasonal favorite! It’s light, but is still VERY filling. Finally, we got to dessert! 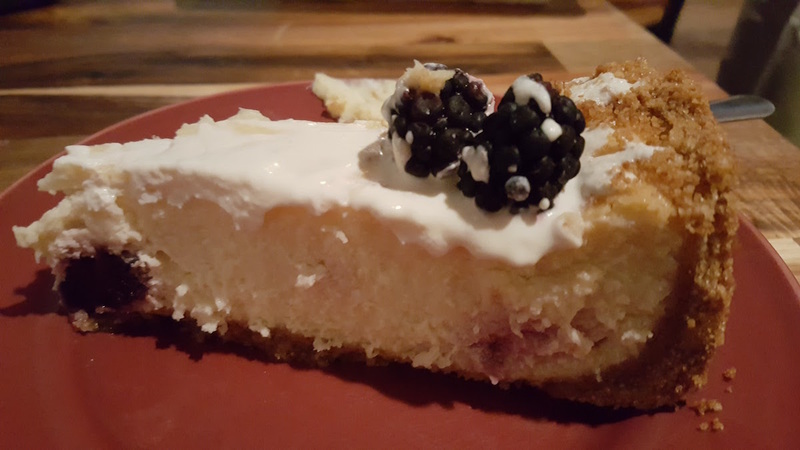 We tried a Blackberry Cheesecake that had us fighting over who got the last bite. While a lot of cheesecake has a firm consistency that makes you wonder if it was fresh from the freezer, this slice was light and fluffy! The crumbly crust complemented the smooth texture perfectly! While we were fighting over...enjoying our cheesecake, Chef Jon Holland took a moment to sit by our table and talk about his passion for cooking, the history of Fig Tree Cafe, and some of the great things they have coming up. J.P. is very excited about the expanded dining area that Justin had given us a glimpse of when we arrived. This area seats 24 and is perfect for intimate gatherings. We asked about the name Fig Tree Cafe. J.P. explained that he was picking figs one day with his daughter. As he lifted her up on his shoulders to reach the figs that they would later use for preserves and other dishes, he remembered that they had just finished reading the children’s classic “The Giving Tree,” and thus the name was born! 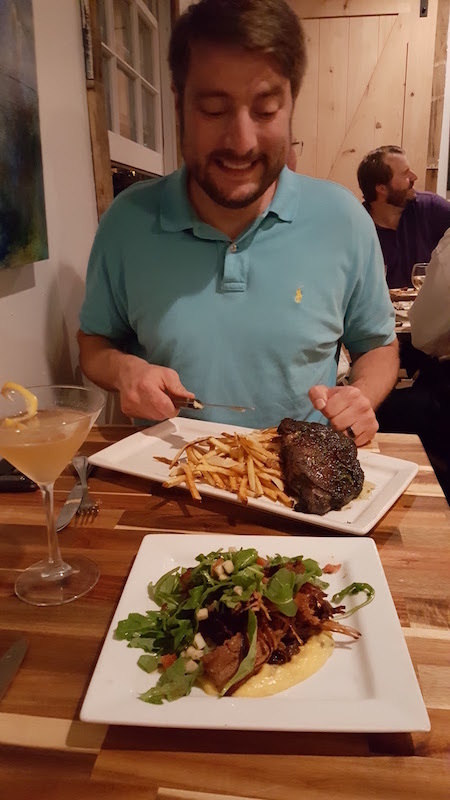 Another great aspect of Fig Tree Cafe is that the food is “Farm to Table.” J.P. sources a lot of his food from a nearby Alabama farm. He recently got in some lamb that he plans to get creative with. As any chef or restauranteur knows, you don’t waste anything. Through some extensive research, J.P. found new ways to get great cuts of meat that would normally be overlooked. 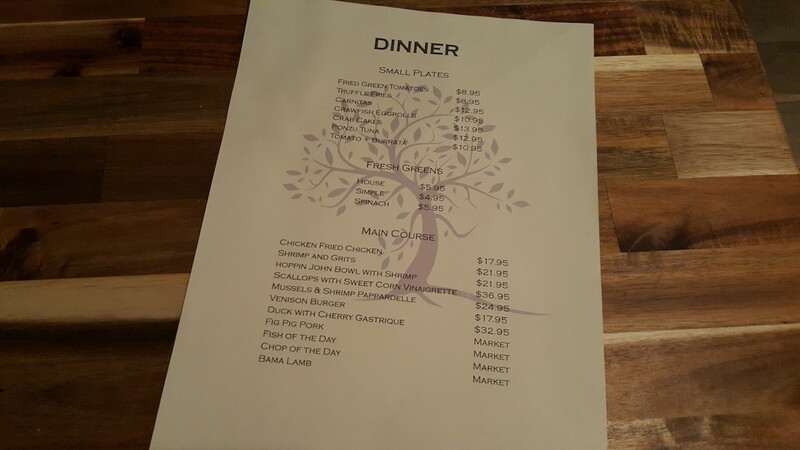 Overall, we had a wonderful experience at Fig Tree Cafe and can’t wait to go back and try the lunch menu! Because of its limited seating, we recommend calling ahead for dinner, especially on weekends. This is a great place to impress a date or for a much needed night out with your spouse. The only thing we regretted about the experience is that we have literally been driving past Fig Tree Cafe for years without giving it a try. Learn from our mistake and don’t pass by this incredible Birmingham restaurant!